Eminem overtook ABBA and Led Zeppelin on Friday to claim the record for the most consecutive chart-topping albums in Britain, with the release of "Kamikaze"
Eminem overtook ABBA and Led Zeppelin on Friday to claim the record for the most consecutive chart-topping albums in Britain, with the release of "Kamikaze". It is the US rapper's ninth straight album release to hit number one, said the UK Official Charts Company. "Does this mean I get to call myself Sir Eminem? ", asked the 45-year-old, real name Marshall Mathers III. Alas, the Detroit rapper would have to receive a knighthood -- and become one of Queen Elizabeth II's subjects -- to get the honorific sir prefix. 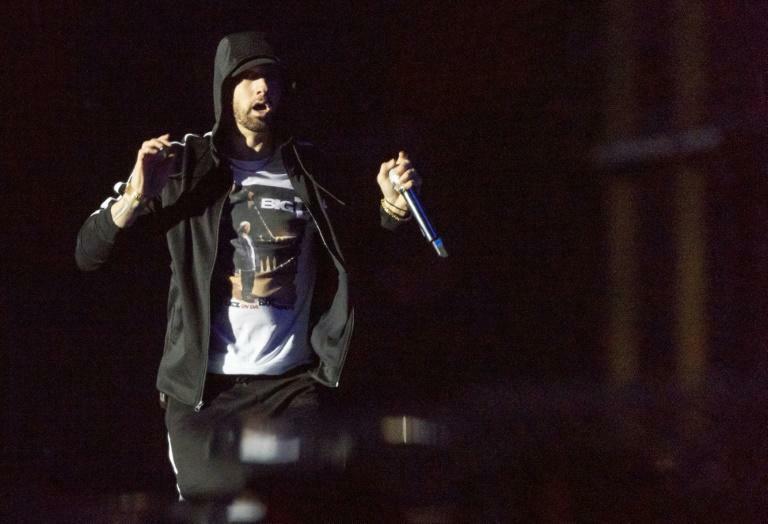 Eminem caught the entertainment world off guard with the surprise release of "Kamikaze", his 10th solo album, produced less than nine months after his last effort. Martin Talbot, the Official Charts Company's chief executive, paid tribute to Eminem's run. "To release nine successful albums is an achievement in itself, but to reach the UK's official albums chart summit with each of them, consecutively, without a break, across 18 years, is quite remarkable." "Kamikaze" dethroned the movie cast recording of "Mamma Mia! Here We Go Again" from the album chart top spot.